Recently tangle with one to many dragons and need some new armor? 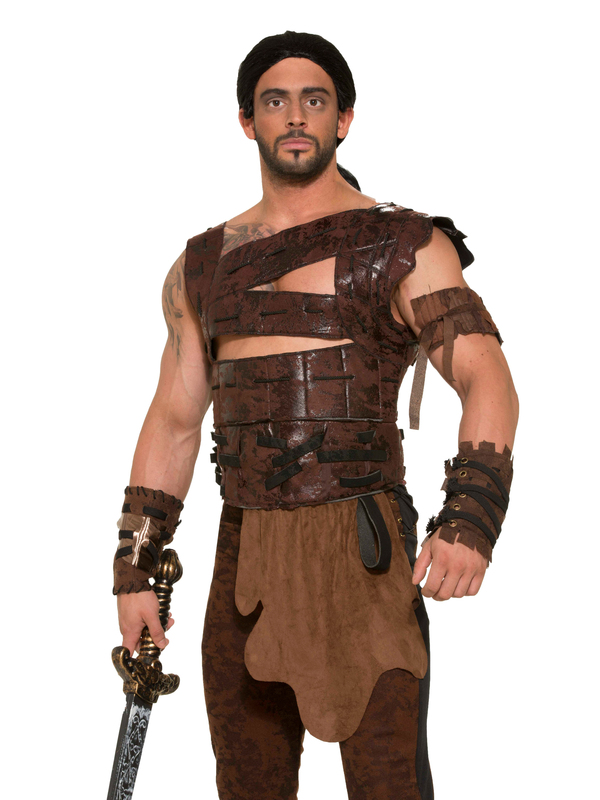 Try this Men's Leather Armor Set, Its both stylish and allows for maximum mobility throughout all your Halloween endeavors. Show off your leadership skills and strike fear into anyone who opposes you. This costume is meant for the brave and the most skilled of fighters. Do you have what it takes to wear this epic costume? Order now! Includes Faux leather armor and belt.